This month, our most important mission as developers is to optimise the performance of My Time At Portia. Our full development team, from programmers to artists, are all working on this with the aim of making My Time At Portia run faster and more stable on PC, as well as getting the game ready for console launch. Whilst in the next update we may not add too many new features, we are happy to confirm that we’ve been working our way towards completing the story! The next update will have new story content and we’ll also be introducing some new side quests in the coming months. Mint, Arlo and Dr. Xu will all have their own portion of story content in this update. Arlo is also another community favourite, and many of you want to know what the relationship is between him and Nora. Why do they meet near the church in the middle of the night? You’ll find out very soon! 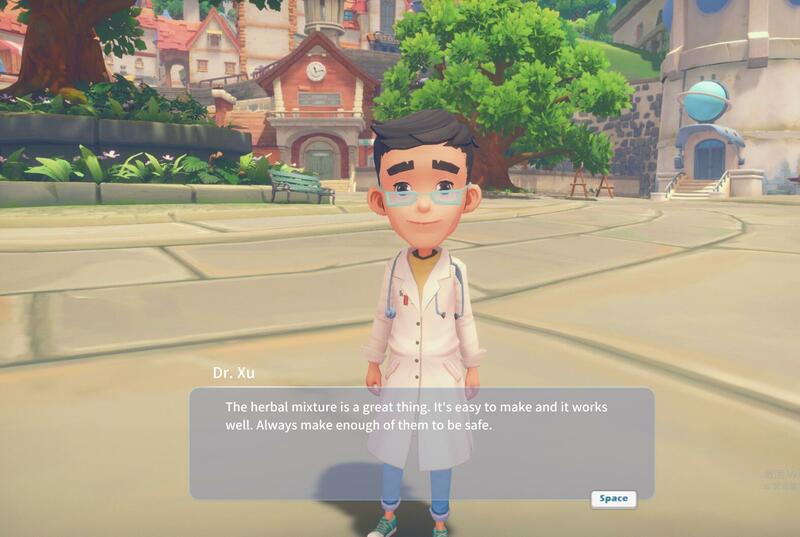 And let’s not forget Dr Xu – we can’t wait for you to play his story quests too! Other than the story content and game optimisation, we’re also going to be working on adjusting the magnifying glass in the inspection game. This should really help you earn those rewards! « Disappearing character? Send us your feedback!